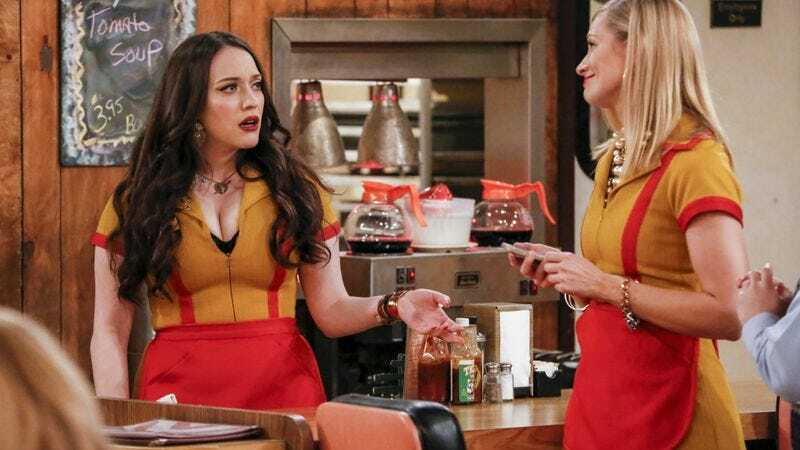 Deadline reports that CBS has canceled its long-running sitcom 2 Broke Girls, ending the Kat Dennings-starring series after six seasons on the air. Co-starring Beth Behrs, the series was a huge hit for the network in its first season—helped in part by frequent controversy over its tendency to mine racial and sexual stereotypes in service of jokes—before falling off as the years went on. Despite that, it was still considered a “utility” player on the network’s schedule; not for nothing, but it was easily the youngest-skewing show CBS currently has. In the end, it came down to money: the series is owned by Warner Bros., not CBS, meaning that CBS was paying most of the series’ costs without reaping much in the way of back-end rewards (and, thus, making it feel like 1 Broke Network). Negotiations were apparently down to the wire between the two companies, but a deal couldn’t be reached, leading CBS to pull the plug.